Do you love exploring the world through GeoTours? How about giving a trackable tag that same thrill! 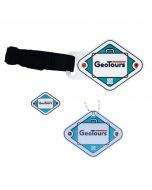 Just like you, GeoTours travel tags can travel to any geocache, not just the GeoTour ones. 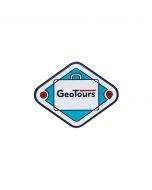 With these travel tags you can show your love for GeoTours or give them some fun goals of finding whichever GeoTour you want to explore next! 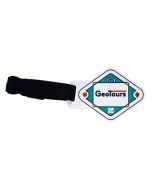 The GeoTours Trackable Tag is trackable at Geocaching.com with a unique icon. Dimensions: Approximately 1.5 inches x 2 inches.